A cozy new breakfast and lunch spot offering classic American fare has made its debut in the Bridesburg area in northeast Philly. Located at 4600 Richmond St., across the street from Bridesburg Park, the new arrival is called The Bridgeview Cafe. The cafe, with an exposed brick wall, wood floors and charming decor, says on its Facebook page that it is "the perfect local neighborhood meeting place." Look no further than the front counter for platters of fresh-baked cookies, donuts and muffins. Diners can choose to sit at small wooden tables--some nestled under a lighted bridge that hangs from the wall--or at the counters that line the large windows. On the menu, offerings include challah French toast stuffed with apples and cinnamon; the Polish omelet with kielbasa, potatoes, onions and Swiss cheese; and the "Walt Whitman," a short stack of pancakes with two eggs, home fries and choice of meat. Not in the mood for breakfast? 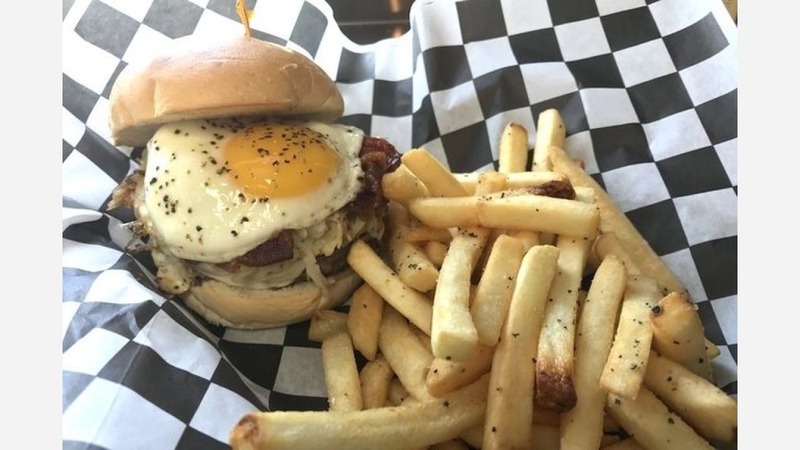 The cafe has you covered, with seasonal salads; a chicken sandwich buried under smoked gouda, bacon and spicy aioli; and the "Brunch Burger," a three-beef blend patty topped with a fried egg, crispy bacon and potatoes and served on a country roll. The cafe has a five-star rating on Yelp, with three reviews thus far. Donna T., who was one of the first Yelpers to review the new spot on April 9th, said, "A neighborhood treasure, like the TV show 'Cheers.' Count on home-cooked food with authentic tastes of Philly, including sausage and baked goods from local vendors. Making this a regular stop on my route to downtown." Head on over to check it out: The Bridgeview Cafe is open daily from 6am-4pm.